LTL Rates: ltl freight rates, or Less Than Truckload Rates, is a service available from Freight Rate Central. Some of our customers and potential customers aren’t aware that a full-load freight shipping company can accommodate LTL freight shipments. However, this service is becoming more and more popular. The simple truth is that our LTL shipping rates are some of the most competitive in the business, and our less than truckload quotes and services are some of the best in the industry. This is because of our buying power, you will save a large percentage off the cost of shipping with a freight company who has established a vast and dynamic network of providers and trucking services. Here at Freight Rate Central, we combine our large volume of LTL freight shipments to ensure that our clients never pay for more shipping than they have to. To find out how much money we can save you on your Less Than Truckload shipments, use our instantaneous LTL Rating Tool. How Do You Know If You Need a Less Than Truckload Quote / LTL Rate for your Shipment? Figuring out what volume, dimensions and weight create a full or partial truckload—especially in specialized trucks—can be difficult. For example, trucks of different heights have different volumes available for freight, which means that the way your shipment fits into the truck can be a factor and affect your LTL Rates and the cost of your less than truckload shipment. Here at Freight Rate Central, we’ve made it easy for you. By using the online LTL Rate calculator that we’ve linked to above, you can enter the type of shipping you need—dry van, flat bed, specialized truck, refrigerated, etc.—the dimensions of your shipment, the total weight, and your packaging type, and we’ll return a quote on the exact cost of the shipment. For comparison, create a second quote for a full truckload. If your shipment is relatively large, then it may turn out to be more effective for you to do a partial truckload or full truckload, depending on your specific needs, the shipping route and other factors. Particularly heavy, bulky or odd-shaped shipments are often cheaper when shipped via a full truckload. For extremely light shipments, under 100 pounds, using a standard parcel shipping service (like UPS or FedEx) will likely be the most cost-effective option. For shipments between 100 and 200 pounds, we recommend getting pricing from our online quote generator and a parcel delivery service for comparison. Of course—whether you’re shipping 200 pounds or 20,000 pounds, FRC has you covered. How Can I Get a LTL Quote or Track my Less Than Truckload (LTL) Shipment online? Our online freight quote generator has made it easier than ever to determine pricing for your LTL freight shipment or partial truckload shipment. Simply click over to our automated online quotation system. From there, you just enter your LTL shipping origin and destination, note whether they are residential, construction or business addresses and let us know if there are loading dock or forklifts available. After that, just enter the quantity of items, their total weight and their in-packaging dimensions. Enter any other pertinent information, click “Get a Quote” at the top and you’re done! Can I Ship Loose or Unpackaged Items Through LTL? All shipments made through FRC must be packaged according to shipping industry standards. “Shipping industry standards” means that items are packaged in boxes and are then secured onto pallets, skids or crates, or joined together in larger quantities with plastic wrap or a breakaway-style adhesive. For safety reasons, each box must be arranged so that it has a flat, stackable top and doesn’t overhang. 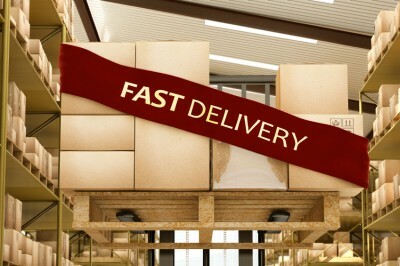 For more information on packaging LTL freight shipments, contact us at 1-855-FRC-SHIP. Large and oversized shipments, like machinery, may not require special packaging, however you will want to note that during the quote generation phase. If you have questions on packaging or other general questions related to freight transportation, don’t forget to visit our freight transportation Frequently Asked Questions pages. To get started shipping your LTLfreight to its destination, use our online freight quoting system now for instant online LTL Rates.